We’re all busy people living busy lives and learning how to create a capsule wardrobe is a great way to simplify one part of your busy day. When you declutter your closet and remove items that no longer work for you, then you have the space and opportunity to create a minimalist wardrobe that you love and works perfectly for you. You may be afraid that a capsule wardrobe will be limiting or restrictive. It doesn’t have to be that way at all and many people find it actually more liberating and creative. About purposefully creating a wardrobe that works for your life. Filled with items that you love. Contains only items selected purposefully. Filled with items that coordinate and work together with other items in your capsule. Is filled with items chosen for versatility and quality. Designed to make you look and feel good. Curated with items that will last. About a only living with a ridiculously restricted number of items. Only for wealthy people with a big budget. Only for certain fashion styles. About limiting your fashion or self-expression. You eliminate clothing that you aren’t wearing. This allows you to identify items that do work for you and your lifestyle. With just a few pieces to choose from, you can put your outfits together with simplicity and ease. This not only helps to speed up your morning routine but also reduces clutter in your closet and your life. It helps you develop your signature style and build on it. No more randomly buying clothing items and later finding out that you have nothing to wear with them. You’ll purchase clothing with a plan, so everything in your wardrobe will work together. A capsule wardrobe is considered a limited collection of clothing and accessories. Ideally, a capsule will contain basic essentials that can be easily mixed and matched to create new outfits for various occasions. 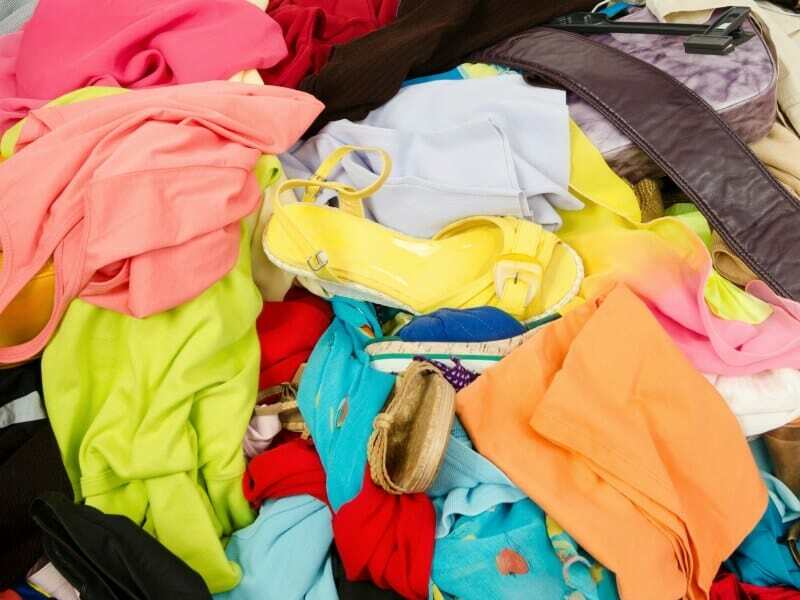 Though you get to choose how many pieces go into your capsule, most capsule wardrobes contain around 24 items. Don’t let that number scare you though, you can choose to have more items if you find that works better for you. Your capsule wardrobe should begin with pieces that you already have. Start by gathering all of your clothing and accessories so you can see what you’re working with. 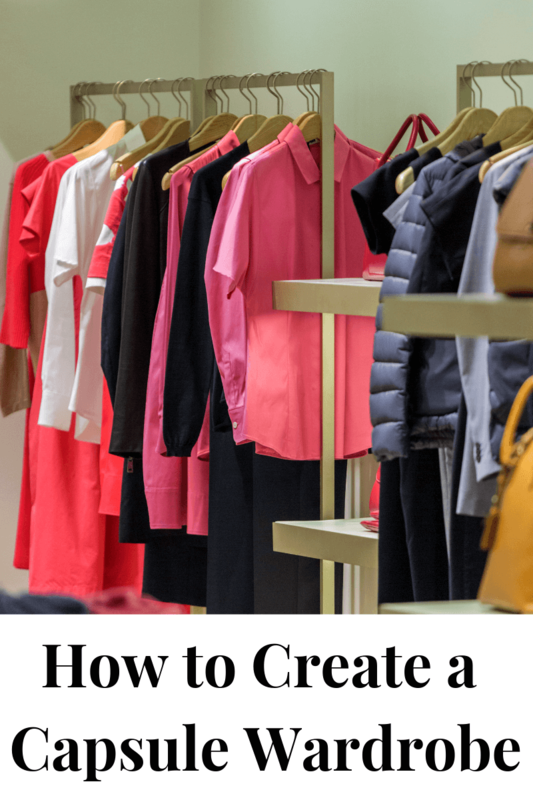 This process can be rather therapeutic as it’ll force you to completely empty out your closet and drawers to do a proper evaluation of your current clothing items. Lay out your dresses, skirts, jeans, coats shoes, accessories, and anything else that may be stuffed in your closet. Once you’ve gone through everything and have decided what will stay and what will go, take the time to reorganize your clothing space in a way that’s practical, easily accessible and even color coordinated. This process is half the battle and when you’re done, the clothing clutter cloud will be lifted and allow you to start fresh. Grab your free printable 2-page Purging Clutter Checklist to help you through the decluttering process. 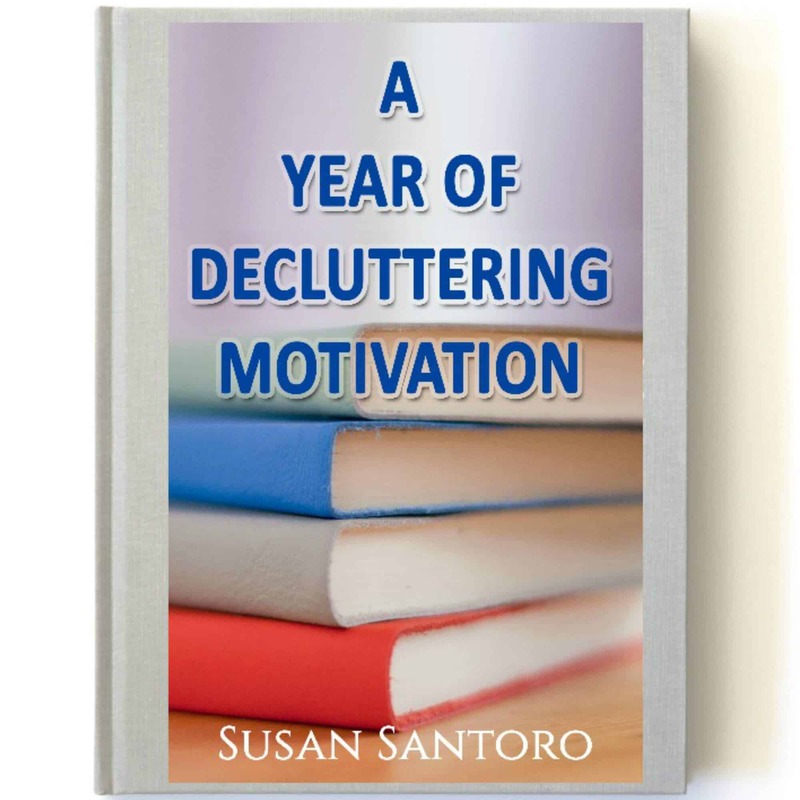 Get 50% off my A Year of Decluttering Motivation ebook to help you declutter before you begin creating your capsule wardrobe. Before you start purchasing new pieces for your capsule wardrobe, it’s best to get an idea of the kind of look you want. Search through Instagram, Pinterest, and similar online platforms to create a mood board of style inspiration. Look at your favorite celebrities and style bloggers to see how they create their most iconic outfits. Take notice of people in your life that dress in a style that you like. Once you have a better idea of what your ideal capsule should look like, you’ll know what pieces to shop for. The items that you’re keeping will become your staple pieces. These are the pieces that you will build the rest of your wardrobe on. As you start shopping to further build on your capsule, you need to make sure you have your basics. The items you already have in each category. The colors you want to maintain in your capsule wardrobe. The items you need immediately to build your capsule wardrobe. The items you’d like to add to finish off or take your wardrobe to the next level. Though a capsule wardrobe is about downsizing what you do have, you are allowed to add in new pieces or take some away here and there. 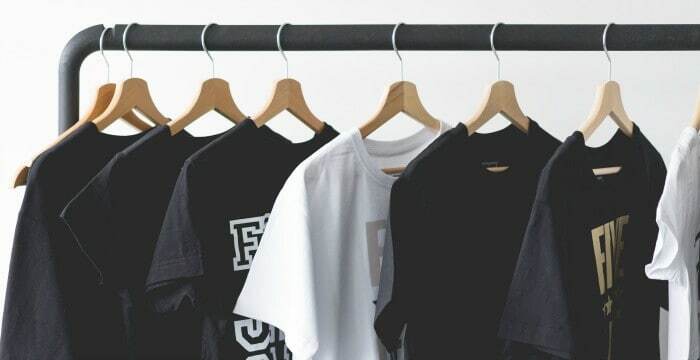 As you get used to living with a limited clothing selection, you’ll learn more about what you like and don’t like, which will help you to piece together a stronger wardrobe in the future. A capsule wardrobe is about curating items that you love it’s not about suffering with a limited number of items. As you adjust your capsule strategies, feel free to switch up your rules for what pieces to wear. Some people use a capsule wardrobe where they attempt to live 10 days with the same 10 items before adding in any new pieces. While your capsule rules are completely up to you, it’s always a good idea to keep challenging yourself to live more minimally and with a purpose. Though capsule wardrobes are intended to be versatile, you can aim to have separate capsules for every season. You can use favorite pieces, and foundational pieces of your capsule wardrobe in multiple seasons. Then add to those key pieces with additional capsule items for each season. As a new season approaches, spend a few weeks planning your next capsule wardrobe so you’re prepared. 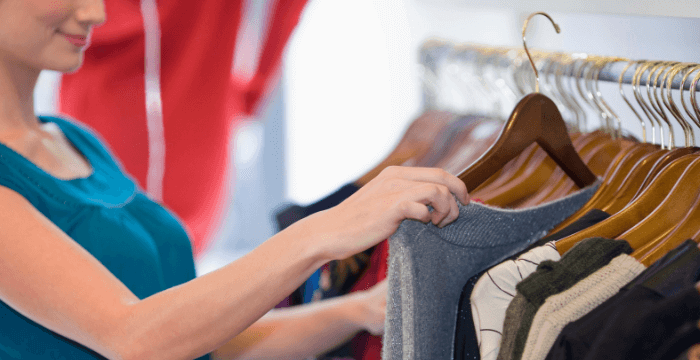 On your way to donate your unwanted items to a thrift store? While you’re there, take a look around. You can find some serious deals from secondhand shops. Whether you’re into designer looks or you like a more eclectic style, you can find a mix of everything at the right thrift store. The best thing about buying secondhand is that you’ll save a significant amount of money on the new-to-you pieces for your capsule. Secondly, you’ll be contributing to the second use cycle, giving gently used clothes a new home. Take a list of the specific items you need and stick to it. No more impulse purchases. Look for items that coordinate with the items you already have. Look for quality items. No more fast fashion purchases that only last for a few wearings. As you shop, you may be tempted by pieces that you can’t see yourself wearing more than once. Even if the price is right, it’s often best to choose another item that can be worn again and again. When you know how to create a capsule wardrobe, you’ll save time and money when putting your outfits together. Additional bonuses are the ability to live clutter-free, to navigate your closet much easier and to be a more earth-friendly consumer. I was just talking with someone at a Minimalism meet-up last night about the capsule wardrobe idea. I think this is so helpful for anyone starting into a new phase of life, and also for people who move around a lot. The reality is, most of us sort of function as if we have a capsule wardrobe, even if we don’t. We only wear a small portion of what we own, so might as well be mindful about it and free up some space!